Check out this month's issue of The Oak Leaflet online! 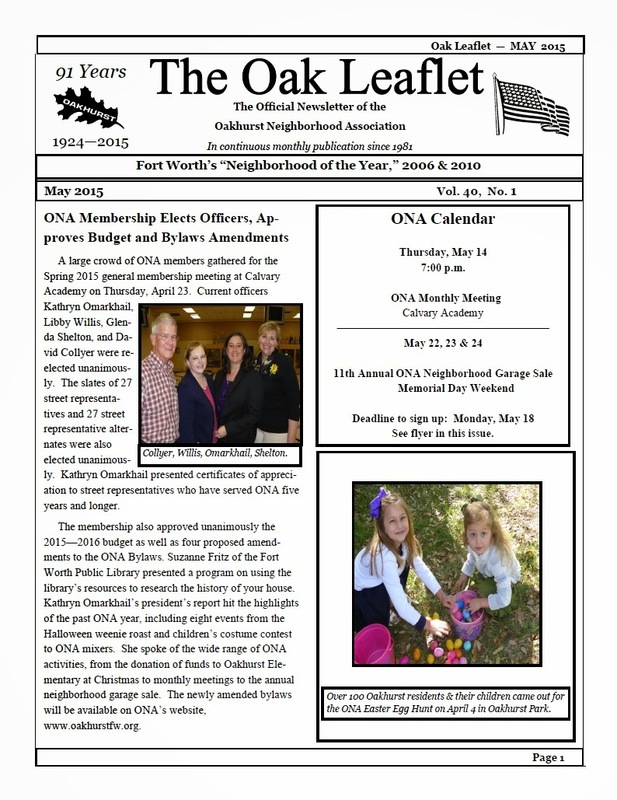 This issue features a recap of the ONA general membership meeting, Oakhurst memories shared by former resident Dave Martin, a host of new Oakhurst residents identified by ONA's welcoming committee, our Yard of the Month award, and much more. Fort Worth Floodplain Management: Get Involved! It's Here: The Eleventh Annual ONA Garage Sale!